Confusion over the real meaning of "headship" often leads to marital conflict. But the Bible doesn't give husbands the right to be tyrants. As a Bible-believing Christian, Mike* was the spiritual leader of his home. He believed that in order to be a faithful man of God he must always "be in charge." His wife, Jill*, and their four children graciously submitted to his authority. Mike insisted on controlling every aspect of home life. Jill was not allowed to handle any aspect of the family finances. Jill felt God wouldn't be pleased if she didn't respect Mike's headship, so she eventually became numb to her husband's demands. Mike was never physically abusive, but his constant criticism made Jill feel like a worthless spiritual zombie. It all erupted one day when their 5-year-old son, Tyler*, got the flu. Usually Mike and Jill tried natural remedies before seeing a doctor, but in this instance Tyler didn't seem to be responding to the natural products. After he'd had a high fever for several days, Jill took the boy to the doctor, who told her Tyler had a respiratory infection that required antibiotics. Jill had a prescription filled and intended to give a dose to Tyler immediately. But when Mike learned about the doctor's report, he told Jill not to give Tyler the medicine. No matter how much Jill pleaded, he refused--saying that the antibiotics might have negative side effects. Jill was so concerned for her son's safety that she threatened to give the medicine to Tyler anyway. Mike then shot back: "I am the head of this house! You have to do what I say!" Jill felt she'd been pushed into a corner by her husband's ironclad demands. Finally she placed the matter in God's hands. The next morning Tyler was so sick he couldn't get up to the table to eat. Jill was desperate and dared to express her concerns. "Is it right to withhold something from him that you know will alleviate his symptoms and help him get well?" she asked. Mike finally gave in. Within 24 hours Tyler had improved, and in only a few days he was well. Mike and Jill, meanwhile, were nursing the wounds that had resulted from this quarrel. Mike's pride was hurt because he felt his leadership had been challenged. Jill felt exhausted from having to push so hard to help her son. Their marriage was frayed in the process--and they eventually had to seek counseling. These kinds of disagreements occur in Christian homes every day. In many cases, husbands and wives who argue over an issue agree to sit down, listen to each other, try to understand the other spouse's perspective and then decide on a resolution. That's the way conflict management is supposed to work. But domestic strife can't be resolved if the husband believes: (1) that he is always right; (2) that it is wrong for him to defer to his wife; or (3) that his masculinity is weakened if he admits a mistake. If he believes all three of these fallacies, he qualifies as a first-degree tyrant. When I preach about gender equality in the church, many women come to me and say, "But I have been taught that my husband is the priest of the home." I challenge them to look up that phrase in the Bible. Show me one scripture that says husbands should serve as priests for their wives! 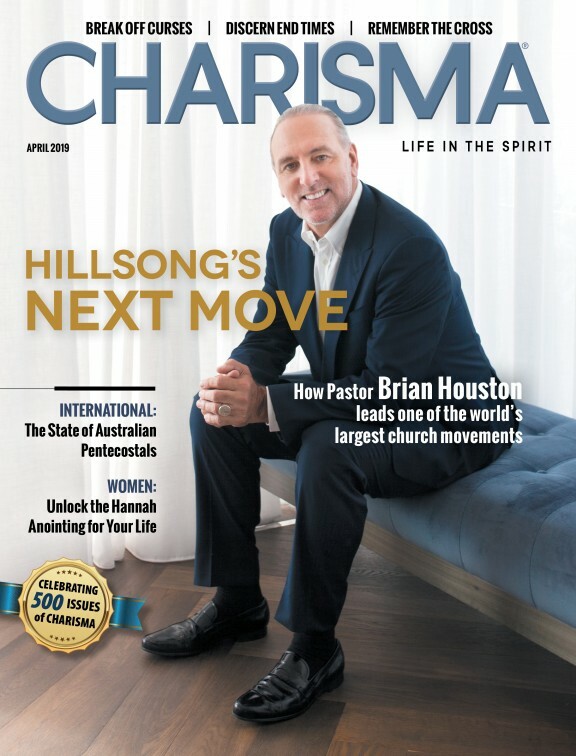 Many Christian traditionalists maintain that women should live in the background and allow their husbands to represent them to the church and to God. They also teach that the husband is responsible for the wife's behavior, as if she were some kind of puppet on a string whom he must manipulate. They have the audacity to use this unbiblical concept of the priestly husband to justify abusive, authoritarian behavior. This is emotionally crippling to women--and it is heresy! The Bible tells us that under the old covenant, before the redemptive work of Christ and the advent of the Holy Spirit, God dealt with men through priests. But now that Jesus has secured our access into the presence of God, we all have been qualified to be priests unto God. Peter says we are part of a "royal priesthood" (1 Pet. 2:9, NKJV). He does not say that this priesthood is exclusively male or that it refers to husbands. There is no reference to gender because "there is neither male nor female...in Christ" (Gal. 3:28).